One of the most technologically advanced sports coupes in the world features Media Oriented Systems Transport (MOST®) technology for powering the vehicle’s premium surround sound audio and infotainment system. 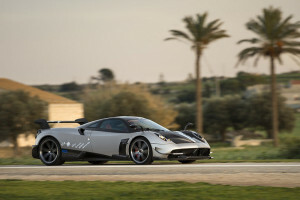 Pagani Automobili’s Huayra BC supercar is using MOST technology Intelligent Network Interface Controllers (INICs) from Microchip Technology Inc. (NASDAQ: MCHP), a leading provider of microcontroller, mixed-signal, analog and Flash-IP solutions. MOST INICs are powering the infotainment systems in all ranges of vehicles from compact cars to ultra-high end sports cars like the Huayra BC. Pagani is using Microchip’s OS81050 INIC to transport video, audio, packet and control data throughout the vehicle. The MOST Cooperation standards enable automotive OEMs and their Tier 1 suppliers to ensure digital multi-channel audio streaming in the highest quality. This proven and well-supported methodology for defining and implementing high-bandwidth infotainment provides a robust method for system management and control with superior reliability and Quality of Service (QoS). Using MOST technology also results in reduced weight by transmitting control and audio data over light weight plastic optical fiber (POF). To facilitate development, MOST technology comes with a complete ecosystem of tools, software and support. Tools vendors include the OptoLyzer® MOCCA family and OptoLyzer Studio, both from K2L; the software stack can be MOST Linux® driver or MOST NetServices; schematics and layout reviews such as MOST Check are available; and multimedia companion IC products include video encoding, DTCP content protection, I/O expansion and power management. To learn more about Microchip’s MOST products, visit www.microchip.com/PaganiMOST530.